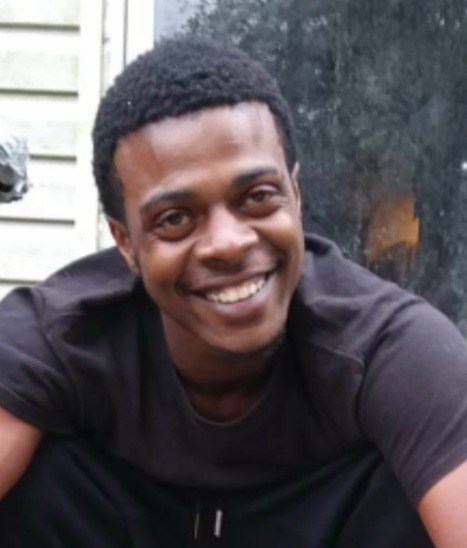 Antonio Jordan Serritella, 22, of Ocala, FL, and formerly of La Porte, IN, passed away at 9:25 pm (ET), Saturday, March 9, 2019 at Ocala Regional Medical Center. On March 1, 2019, Antonio was involved in a motor vehicle accident and sustained severe brain injuries. Antonio was born in Michigan City, IN, on February 21,1997 to biological parents, Chakonna Thomas and Adrian Dadney, Sr. and was adopted by Nicole Serritella and Greg Williams as an infant. He will be remembered for his love of fishing, basketball, and music but most of all, his love of fatherhood and the joy he experienced being with his sons. Antonio is survived by his mother, Nicole (Serritella) Chiutenda and father, Greg Williams; his fiance' and soul mate, Gabrielle Morris; and their three sons, Antonio Jordan Jr. (Tonka), 2 years; Jazarion King, 11 months; and Adonis Messiah, born 2/25/2019. Also surviving are his sisters, Shylia and Breunna Williams, Raschell, Shantell, and Ashanti Thomas, and Bre-Shell Dabney; brothers, Marquez Dabney, Adrian Dabney, Jr., and Antwan and Alexander Thomas; his grandmother, Joann Williams; godbrother, Derrick Woodson; aunts, Friday Lewis, Dr. Tina (Dr. Daniel) Reising, Jezelle Williams, and Candy Dabney; uncles, Jeff Williams, and Gordon (Stephani) Williams; and cousins, Jerika and James Williams, Stefano Guess, and Holly and Ella Reising. Antonio was preceded in death by his grandfather, Dr. Alfred A. Serritella; grandmother, Mary A. Serritella; grandfather, Ezelle Williams; and biodad, Adrian Dabney, Sr.
A Celebration of Life Service will be held at 11 am (CT) on Monday, March 25, 2019 at Cutler Funeral Home and Cremation Center. Cremation will follow and interment will take place at Mt. Carmel Cemetery, Chicago, IL, at a later date. Visitation will be held from 12 - 8 pm (CT) on Sunday, March 24, 2019 and from 10 am (CT) until the time of the service on Monday at the funeral home. Memorial contributions may be directed to the family c/o Nicole Chiutenda, 2900 Monroe Street, La Porte, IN 46350.